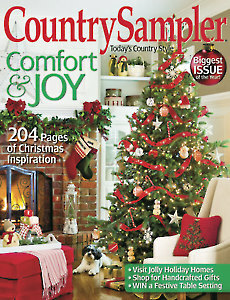 Filled with festive home tours and dazzling Christmas decor, this issue of Country Sampler will put you in a merry mood. Visit five beautiful houses all decked out for the holidays. Find clever DIY decorations that you can make in an afternoon or less. Get tried-and-true tips for adding timeworn charm to newer spaces. Discover clever ways to decorate with plates. Learn how to arrange cute Christmas displays on your mantel, tabletops and more. 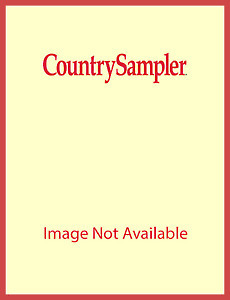 October/November 2014 Country Sampler  $5.00Hurry! Only 6 left! This magazine subscription is the best book of all. Would not miss an issue! !